Bible Story: This weekend we heard a story about Jesus’ friends, Mary and Martha. Jesus wanted them to stop and sit a bit so they could spend time together. Why? Because Jesus loved them. 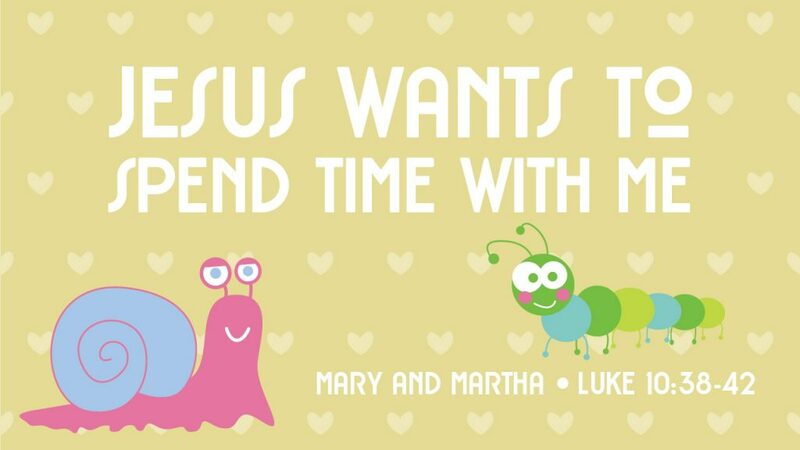 Story Focus: Jesus wants to spend time with me. Jesus wants to spend time with us because He loves us too! We can spend time with Jesus by reading the Bible, by praying, and even by taking a walk out in nature. 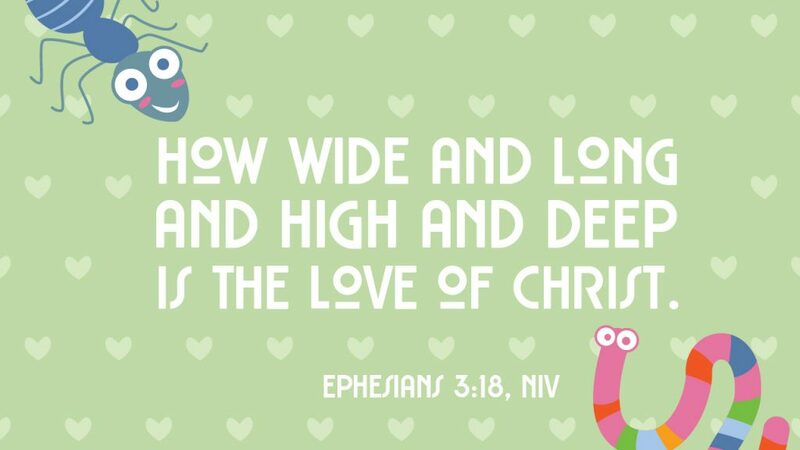 Parents, Please click HERE for a fun video to use as another tool to help your preschooler remember this month’s memory verse. Please take some time to check out this month’s new extended activities. We’re here to partner with you and offer suggestions to extend the Bible lesson throughout the week. Please click below to take advantage of the additional activities and articles that will enhance your preschooler’s spiritual growth! Click below for the direct link to the Ada Bible Church playlist or to purchase the songs your kids are singing! In February, we are singing L-O-V-E, Yes Jesus Loves Me, God Loves You and Me. A widget is a specific tool which coincides with the Bible lessons, bottom lines, or memory verse each month. These widgets are given to aide in the preschooler’s retention of the Bible lessons from church to home. Click below to read more about February Widget!